The IRB yesterday released the appointments for the up and coming test matches in November, and it makes for some very interesting reading. The 9 top referees (exc Chris Pollock who is still injured) have all got games, with Gerome Garces once again joining them in the elite list after a brief sabatical from the panel. So you need some new referee kit? 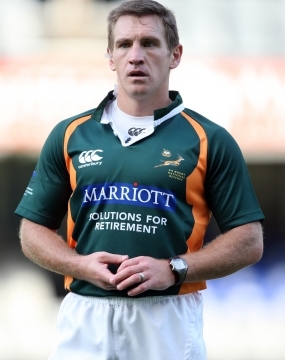 Fed up of having to buy kit for other sports and make it fit for your duties as a Rugby Referee? Well don't worry, we have the answer. 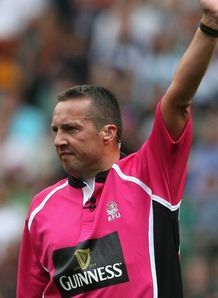 RugbyRefs.com has teamed up with Akuma to bring you a range of items that have been made specifically with the rugby referee in mind. The International Rugby Board has announced its female referee panels for 2012/13 as preparation continues towards Rugby World Cup Sevens 2013 in Moscow and Women’s Rugby World Cup 2014 in France. ENGLISH referee Dave Pearson has become the first Elite Referee Coach appointed by the Six Nations.